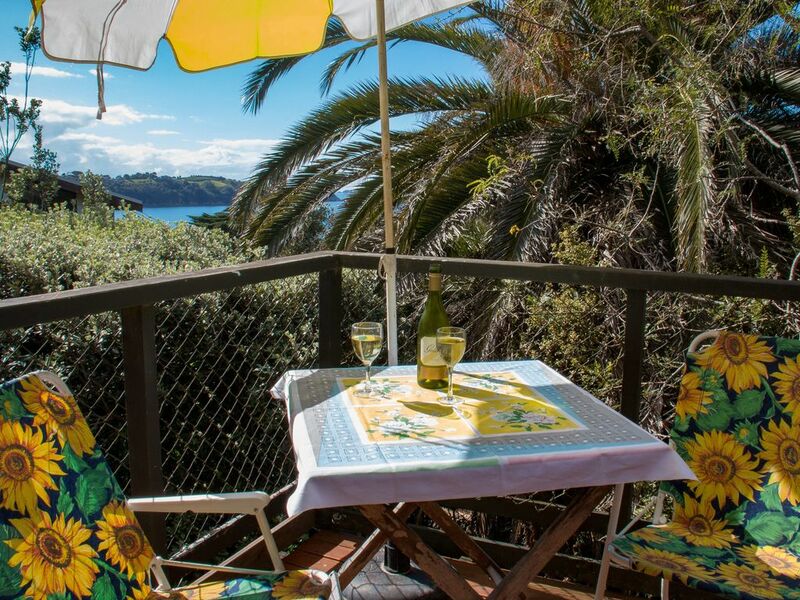 This charming, well appointed and sparkling clean original Waiheke Island bach is in a wonderful holiday location very close to beautiful Little Oneroa Beach. At nearby Little Oneroa you can enjoy a laze in the sun or a delicious swim on beautiful Little Oneroa Beach. The Little Oneroa Beach Store is also right there and is well known for a good coffee, yummy ice-creams and a well stocked general store and wine shop. Dragonfired Pizzas prepare a delicious range of wood-fired pizzas, calzones and other tempting food right on the beach front. When the cafés and restaurants call it's just an easy 8-10 minute walk to the centre of Oneroa Village where there are shops, cafés and restaurants in abundance. St Peter's Catholic Church is only a short 2 or 3 minute walk away. "Classic" is a good word to describe this charming little cottage. The accommodation consists of open plan living, dining and kitchen is of a workable size, and is well appointed and organised for efficient use of space. A door opens from the living area to a sunny and private north facing deck with a peep of the sea and lovely bushy views. The bedroom opens from the living area and here you will find a double bed and a single bed - there's also a divan in the living area. Through the bedroom is the small, clean and serviceable bathroom. This property is just perfect for those who enjoy a cosy little well maintained and spotlessly clean bach in a fabulous almost-beachfront location so close to both Little Oneroa and Oneroa Village. Pets are welcome. Please scroll down to "Suitability" for more notes. Really enjoyed our stay, we found it to be immaculate and cozy.